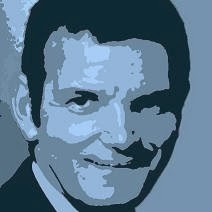 Peter Martin: GDP. We're booming, if you can believe it. 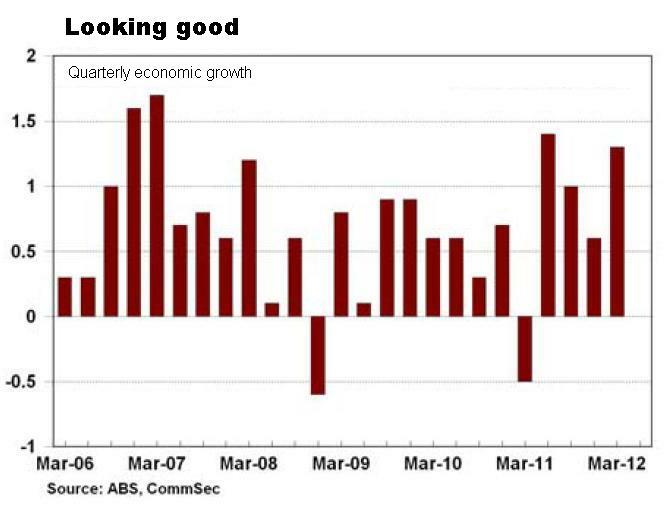 A surge in mining investment and an apparent upswing in consumer spending have delivered Australia one of the fastest economic growth rates in the developed world. At 4.3 per cent, Australia’s annual growth rate is faster than any of the developed nations in the Organisation for Economic Co-operation and Development. The quarterly rate of 1.3 per cent is more than twice the most optimistic forecast. 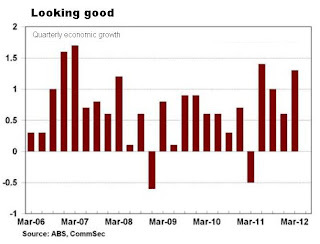 One day after Coalition Treasury spokesman Joe Hockey described the Australian economy as “underperforming” Treasurer Wayne Swan used the March quarter news to lambaste the opposition for talking the economy down, denting confidence and then complaining about weak confidence. He said business figures were also to blame, echoing concerns held within the Reserve Bank. Asked who in the business community was relentlessly negative he declined to name names, telling ABC 7.30 there were “one or two who go out there and run the economy down all the time”. New engineering construction - most of it related to mining - accounted for almost all of the quarter’s economic growth, jumping 19.7 per cent over the quarter and 53 per cent over the year. Consumer spending was almost as important, with the volume of goods and services bought swelling a near record 1.6 per cent over the quarter and 4.2 per cent over the year. The consumer inflation rate reported in the figures is zero in the March quarter and 1.4 per cent over the year. Household incomes grew 2.5 per cent in the quarter. Household savings was little changed at 9.3 per cent of income. The best measure of spending by state shows NSW spending slipping a seasonally-adjusted 0.3 per cent in the quarter, Victoria advancing 1.8 per cent and Western Australia climing a phenomenal 7.8 per cent. More reliable trend figures show NSW spending climbing 2.1 per cent per year and Victoria 1.9 per cent. In contrast Western Australian spending balooned 13.6 per cent - a faster rate of growth than in China’. The news sent the Australian dollar to its highest close in a fortnight - 98.48 US cents. The share market inched ahead 0.29 per cent. Describing the figures as “surprising to all” shadow treasurer Joe Hockey said they would be better with a better government.